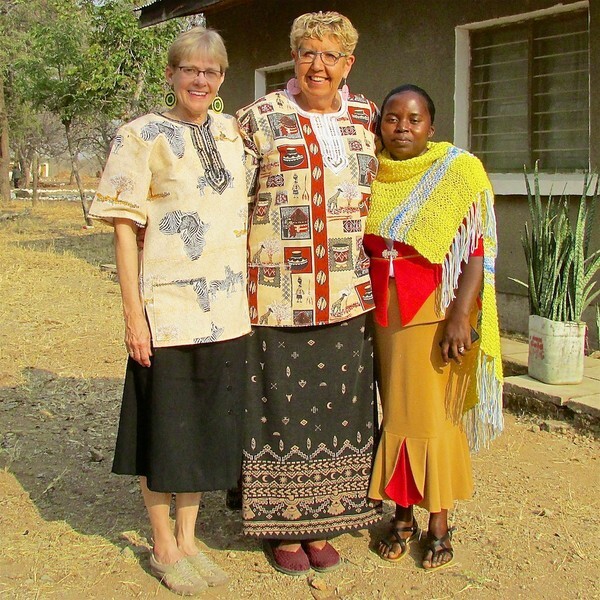 In September, Jan Rosdail Aegerter and Jane Kruse visited the Igumbilo Lutheran School for Girls where they were hosted by Headmistress Yelonumasi Gissamo. Click the tab in the Table of Contents to read about their visit. Gadi Msule, Director of the Well Drilling Project in the Southern Diocese attracts the attention of children at a well site. Click Wells in the table of contents above to read more about the wells project. There have been recent moves and votes toward reunification between the two Lutheran bodies in Chile! This endeavor we hope will result in a stronger church both in terms of resource and of mission, not to mention of voice and of unity! Let us continue to pray for the Spirit's guidance in this process. 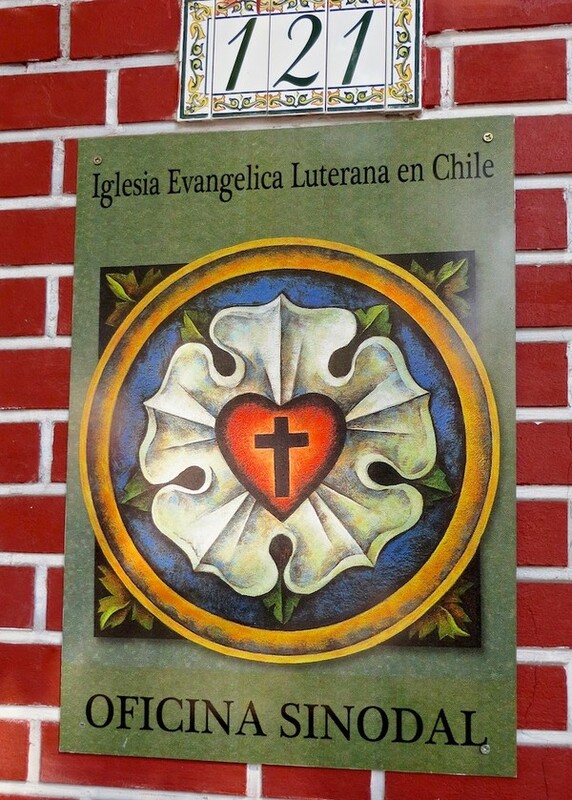 Members from our ELCA Latin America desk of Global Mission will soon be visiting the IELCH. We will hope to learn more upon their return about the current status and ministry of our beloved brothers and sisters in Christ. Companion congregation interest with congregations in Chile is growing, with two new relationships anticipated in the near future. Existing relationships continue to work on improved communica- tions. First Lutheran in West Okoboji included their companion congregation of San Pablo in their 2015 mission activities and will be jointly supporting children’s’ ministry and community outreach efforts in Concepción. Likewise, The Church of the Damascus Road rou- tinely writes letters to La Trinidad and offers financial support for their congregation's needs as well as national needs such as support for the most recent earthquake victims' and for the devastating fires in Valparaiso last year. "The blog I write is titled: “PB&J: Pastor Ben & Jesus” and can be found at: www.benmcintire.wordpress.com, " says Pastor McIntire. "I have already written a brief article on the blog about our trip entitled Kwa Jina la Baba, na la Mwana, na la Roho Mtakatufu and I’m currently posting chapters of a longer travelogue called The McIntires’ Safari. I’ll continue posting 1 or 2 chapters a week until it is complete. Pastor Ben McIntire serves St. Mark’s Lutheran Church in Storm Lake, Iowa. 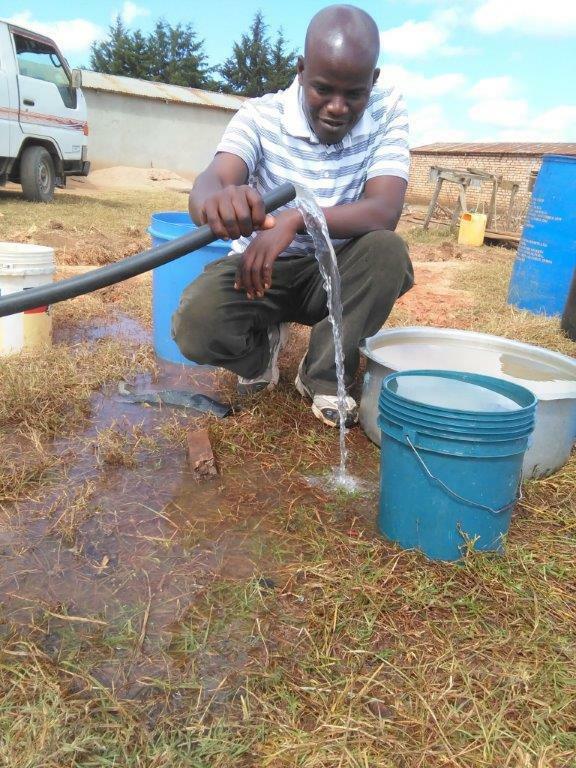 The well drilling team in the Southern Diocese has had good success finding water and building wells for a number of villages and communities. They are scheduled to be drilling wells in Ikuna and Matembwe parish. 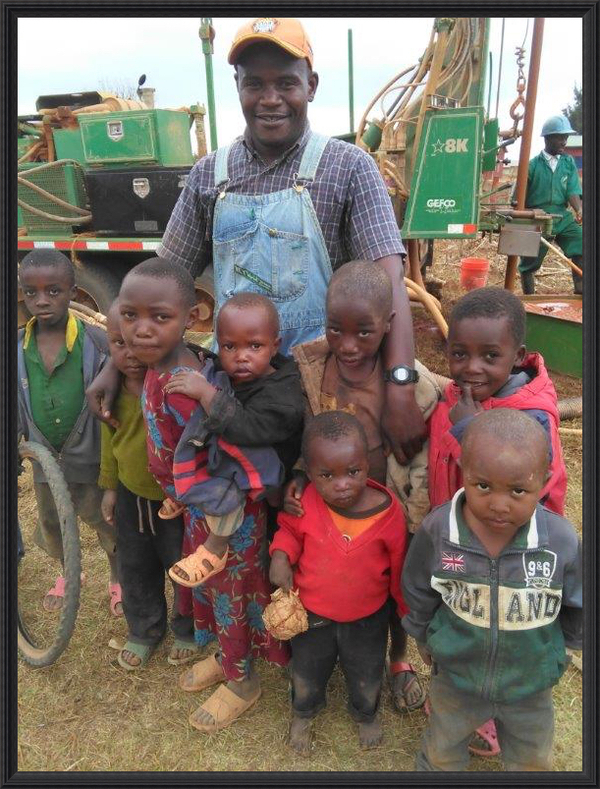 Wells have been drilled at the Samaria preaching point and Kibena parish. 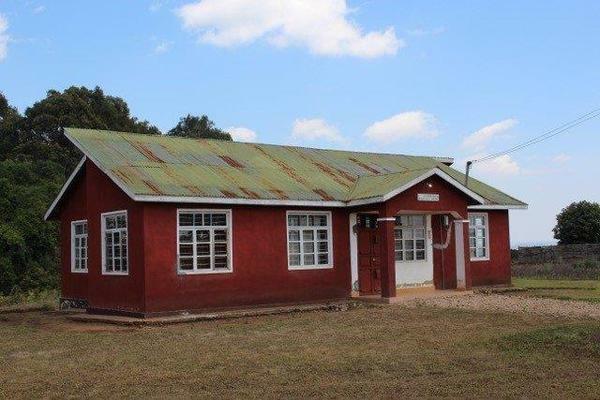 Work was done at Matigonjola parish but we are unsure of the outcome there. The team discovered that carbide tipped drill bits can make it through rock. This equipment will help them be more successful in the future. Sadly the one bit they had burned up in one of their drills. We are looking to find more bits and ways to get them to Tanzania. Keep praying for the team and the villages who await getting their own well! We recall that we are in covenantal relationships with our brothers and sisters in Christ and walk with them as we work to meet these most basic needs of our people, being the face of Christ in their midst. Any individual or con- gregation wishing to support these projects with their time and talent may do so by serving on Synodical networks; any individual or congre-gation wishing to do- nate toward any/all of these projects may do so by sending funds to the Western Iowa Synod, with the project (s) in the memo, and send to 318 E. 5th St., Storm Lake, IA 50588. The synod website wisynod.org also has a ‘donate now’ button at the bottom of any page. Our friends in Tanzania have expressed the situation following the recent Tanzanian election. Following a heated campaign, the ruling CCM party remained in power. Not all feel that the election was conducted fairly. There are even more difficult issues ahead with a movement to separate Zanzibar from the rest of Tanzania. Please continue your prayers for this difficult situation. 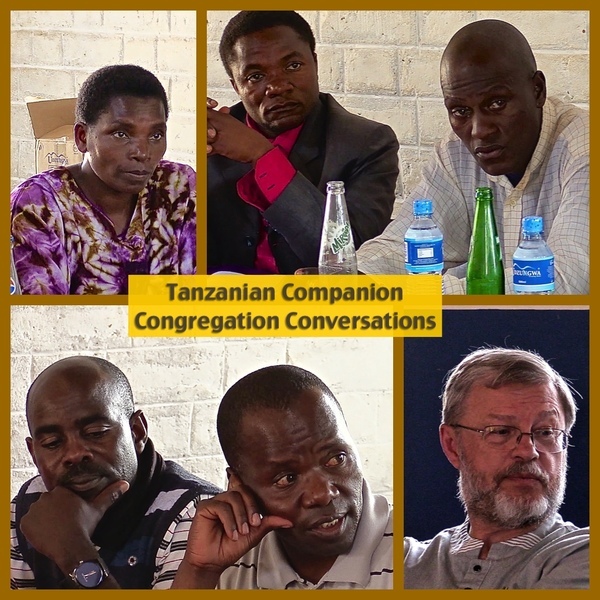 During his September trip to Tanzania, Pastor Norris had an opportunity to meet with pastors and lay leaders from many of Tanzanian companion congregations. Dr. Gabriel Nduye, Companion Synod Coordinator in the Southern Diocese, helped arrange for these meetings. Make a commitment to communicate on a regular basis, at least once a month. Don’t give up after sending just one email. There are lots of reasons that emails don’t get answered right away. If you continue to have problems with communication, contact Cindy Wells, the WIS Director for Global Mission. She can check to see what might be impeding communications. Try to have more than one contact for your congregation, including lay persons as well as pastors. Dr. Jason Mtokoma is doing well and working as an OB/GYN specialist at Ilembula Hospital. He normally delivers between 50-60 babies each month. 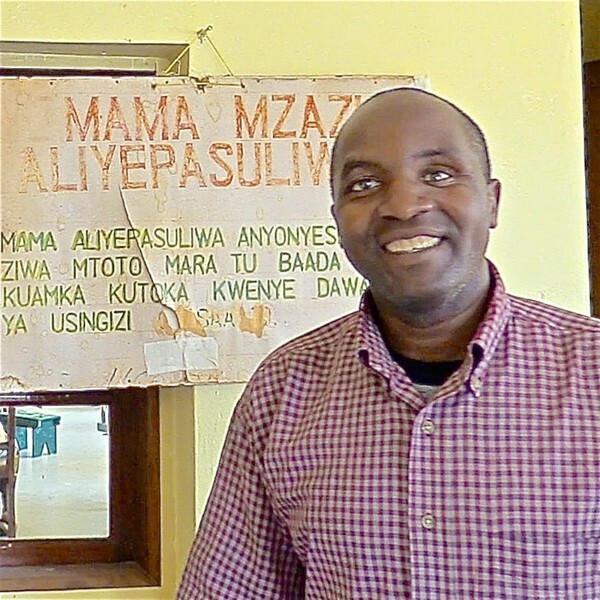 WIS helped provide fund for Dr. Mtokoma's medical training. Power supply at the hospital continues to be an issue. Sometimes power shuts down during surgery or when other vital medical equipment is being used. Government subsidy of salaries has not been not consistent and, thus problematic. There is a great need for pharmaceutical and other supplies since the government system is also not working well. The Igumbilo Lutheran Girls’ Secondary School opened in 2006 with 83 students. In 2015, there are nearly 400 students attending in Forms I-IV and living on the campus. This year, a former graduate of ILGSS is a first year teacher of Geography at the school, one of two female instructors are on the 14 person faculty. The administrator, Head Mistress Gissamo, is a passionate and energetic leader and role model. This trip was slightly different from past WIS trips in that it was a smaller group of travelers, so we had a bit more flexibility in our schedules. As retired teachers we were dropped off at the Igumbilo Lutheran Girls’ Secondary School by ourselves for 8 days and were given the opportunity to teach approximately 3-4 hours each day, on such topics as Globalization and it’s effects on Tanzania and the U.S., HIV/AIDS, Cultural Gender Differences between the U.S. and Tanzania, and Human Services/The differences between the U.S. and Tanzania. 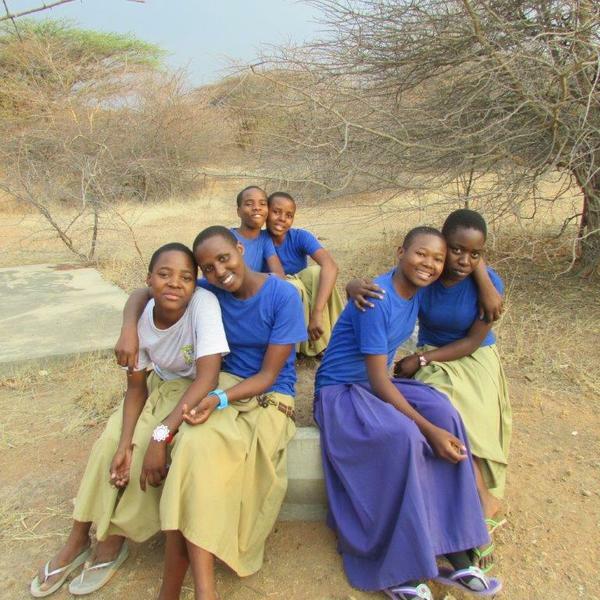 Being able to teach allowed us the opportunity to interact with all 400 girls at the school and really gave us insight into some of the struggles they continue to face as young girls at the school and that they continue to face as young women in their culture. We were able to share supplies that we brought from the U.S. for delivery to the school. 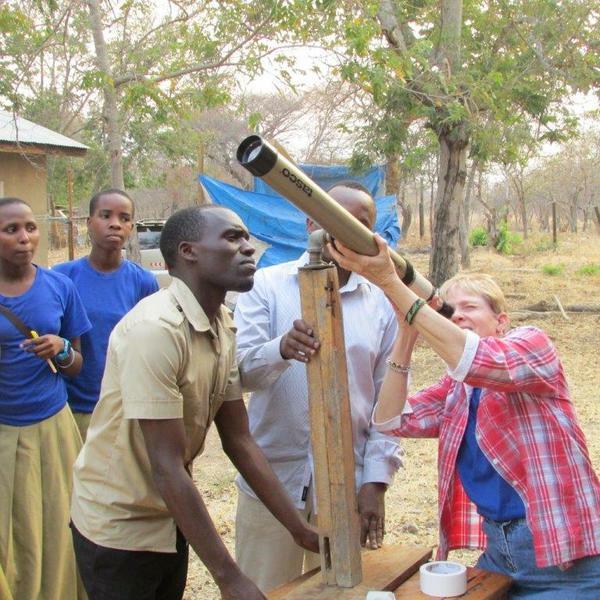 A telescope, something the girls and even many staff members had only heard about but had never seen, was presented. At 4:00 AM, lines of students got to see a close up of the lunar eclipse. Other items donated from Western Iowa were flash- lights and solar lights for all those times when the power was going out, reading glasses, and general school supplies such as chalk, paper, pencils and soccer balls. While working to make the Center for Agricultural Develoment self-sustaining with it’s ag production operations, the CAD board has also begun to renew its focus on training. Increasing CAD's capacity to support SACCOS micro-financing groups has also become a high priority. Even though it is possible to teach and showcase enhanced ag practices “til the cows come home”, so to speak, without credit or savings to implement them, there is little opportunity to move beyond subsistence agriculture. A SACCOS event on Oct. 27 in Milford featured people who have been working with the Iringa Hope SACCOS in Tanzania. They shared stories about the dynamics and success of the SACCOS approach. The Iringa Hope SACCOS has helped its members increase annual incomes significantly. 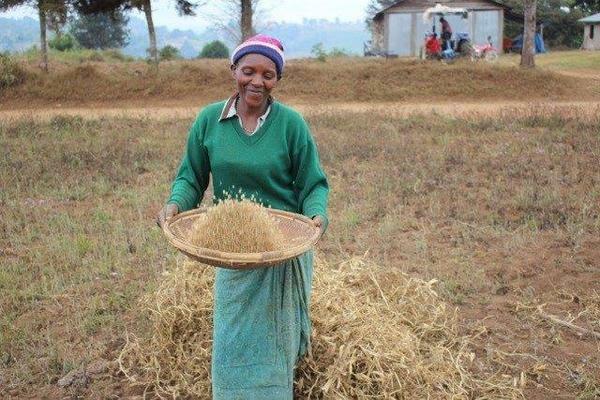 Loans from Iringa Hope have provided dignified opportunities for villagers and smallholder farmers to help themselves and to manage their profits to help their families and communities in ways they, themselves deem best. improvements. In addition, many loan recipients tithe to their congregations! Western Iowa Synod hopes you will accompany CAD in this venture. 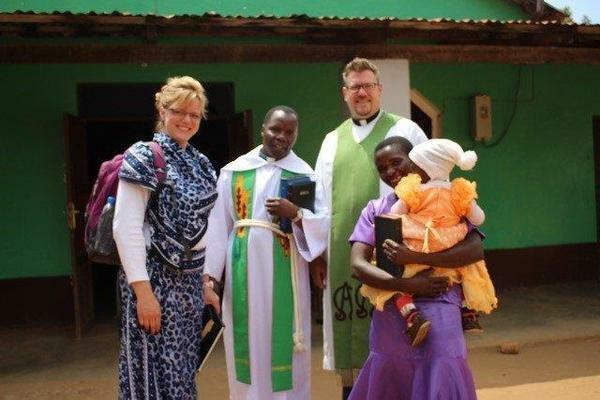 Contact Cindy Wells, WIS Director for Global Mission (cindy.wells@wisynod.org: 712- 732-4968 ext. 441 or Dr. Perry Aalgaard (perry@3cross.org: 712- 338-4514 with any questions, requests for information, etc. Mungu Awabariki (God Bless You All)!! Arlyn Norris, Chair; Jan Rosdail Aegerter, Howard and Marcia Taylor; Susan Julifs; Dr. Leslie Hemmingson; Pr. Ben McIntire; Pr. Luke Kuenzli; Katia Frock and Dr. Tracy Gayer (synod council liaisons), Cindy Wells, WIS liaison. Well Project: Pr. Mike and Shelby Kroona, Jeff Bowen, Dar Evans and John Reinert. Girls School: Jan Rosdail Aegerter and Jane Kruse. Medical: Susan Julifs and Terry Towne. CAD Board: Bishop Rodger Prois and Bishop Isaya Mengele, Carl Bergstrom and Martins Chodota, co-Chairs; Giesla Masika, treasurer; Michael Vaughn, secretary; Dr. Bruce Towne and Henry Vahaye, at large. Tanzanian members needed and being sought at this time. Companion Congregations: Pr. Arlyn Norris and Howard & Marcia Taylor. Newsletter and Communications: Howard & Marcia Taylor, Cindy Wells and Arlyn Norris.